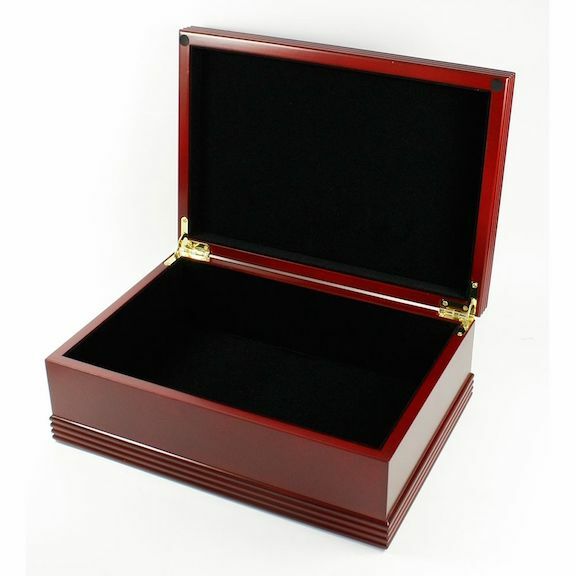 The VIP at work or in your personal life will love receiving this elegant executive desktop stationery box. It has a gleaming rosewood finish, and is lined in rich black velour. The cover will be laser-engraved for no extra charge, with a split monogram design that features a large last initial intersected by a full last name. The box measures 11 1/2� x 8� x 4�, and comes packaged in a gift box, ready for any special occasion or presentation! We guarantee that you or the person you're buying a gift for will be completely, unconditionally thrilled with your purchase. 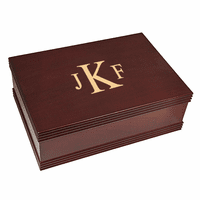 If not, we'll replace it free of charge, even if it�s personalized.